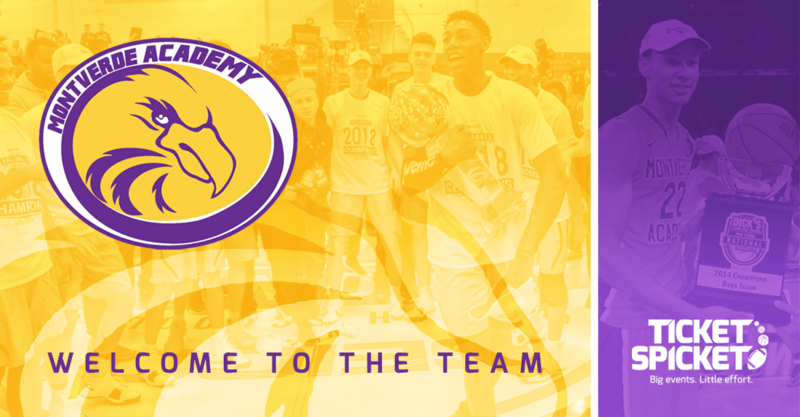 Here you'll find the latest on Ticket Spicket partnerships, new features, and announcements. If you'd like to find out more - just send us a message! 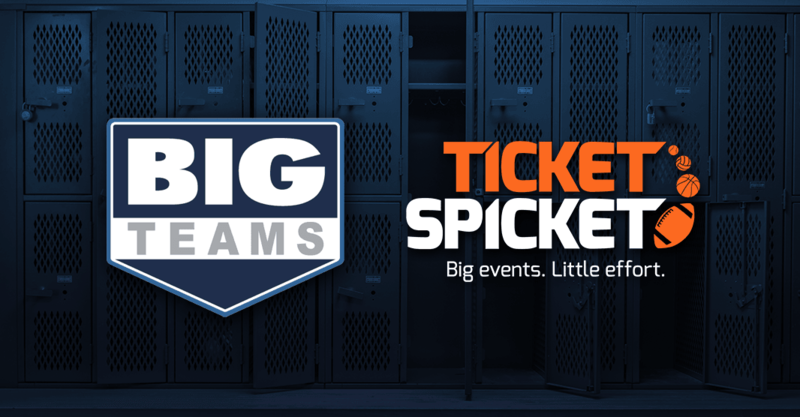 Ticket Spicket has been selected as the California Interscholastic Federation's online ticket provider for the state championship football game this coming Saturday in Norwalk, CA. 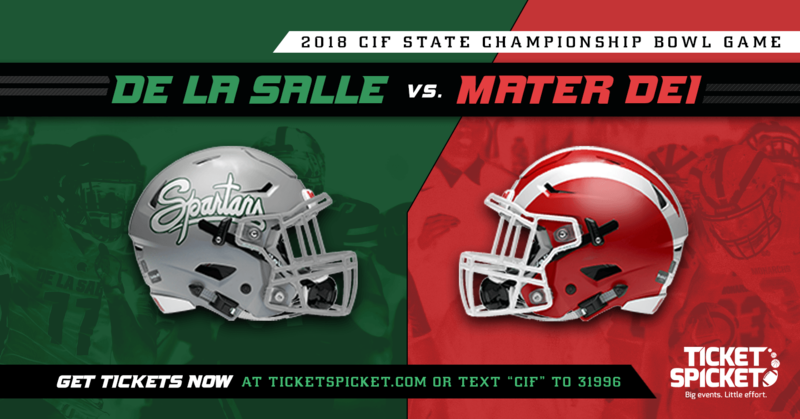 Fans can now purchase pre-sale tickets online at ticketspicket.com (or download the Ticket Spicket mobile app to see the De La Salle Spartans vs. the Monarchs of Mater Dei in the CIF State Open Division Football Championship! 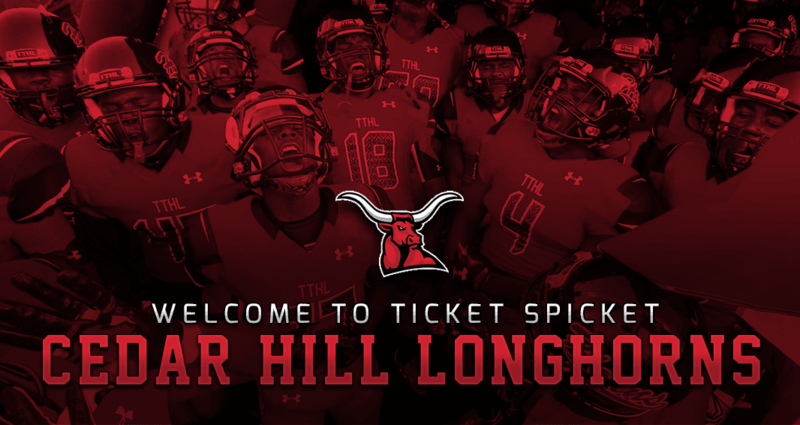 We're excited to welcome the Cedar Hill Longhorns (Texas state football champions of 2006, 2013, 2014) to the Ticket Spicket team! Cedar Hill tickets will be available online starting this fall at ticketspicket.com and on the Ticket Spicket mobile app! For more information on the unique advantages of Ticket Spicket's pro-level ticket platform, contact the Ticket Spicket team at hello@ticketspicket.com or call 1-855-96-TICKET.